South Africa’s Health minister on Thursday said the government would support any community intending court action over the world’s largest listeria outbreak that has killed 180 people since December. 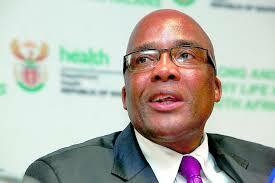 “Those members of the community who want to litigate, we will give them all the information, all the data, we’ll give all the expertise to litigate,” Health Minister Aaron Motsoaledi told parliament. Newsmen report that authorities say a listeriosis outbreak, believed to be the world’s largest, and has claimed 172 lives in South Africa. 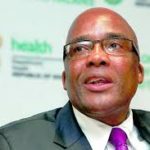 As of February 20, the National Institute of Communicable Diseases (NICD) has reported 915 laboratory-confirmed cases of listeriosis, the department said in its latest update on the pandemic that has gripped the country since January 2017. According to media reports, 57 people lost their lives recently. Listeriosis is a serious, but treatable and preventable disease caused by the bacterium, listeria monocytogenes, which can be found in soil, water and vegetation. Animal products and fresh produce such as fruits and vegetables can be contaminated from these sources. Symptoms from the food-borne disease include diarrhea, fever, general body pains, vomiting and weakness. Although anyone can get listeriosis, those at high risk of developing severe disease include newborns, the elderly, pregnant women and people with weak immunity. Also, Zimbabwe and Malawi on Tuesday banned South African meat products following the outbreak of the listeria disease that has since been linked to meet products from a South African company. Since the government of South Africa linked the outbreak to one of its own meat production companies and instituted a recall of all the meat products involved, many southern Africa countries, have banned meat import from South Africa. The countries are Namibia, Botswana, Zambia, Mozambique and Malawi.